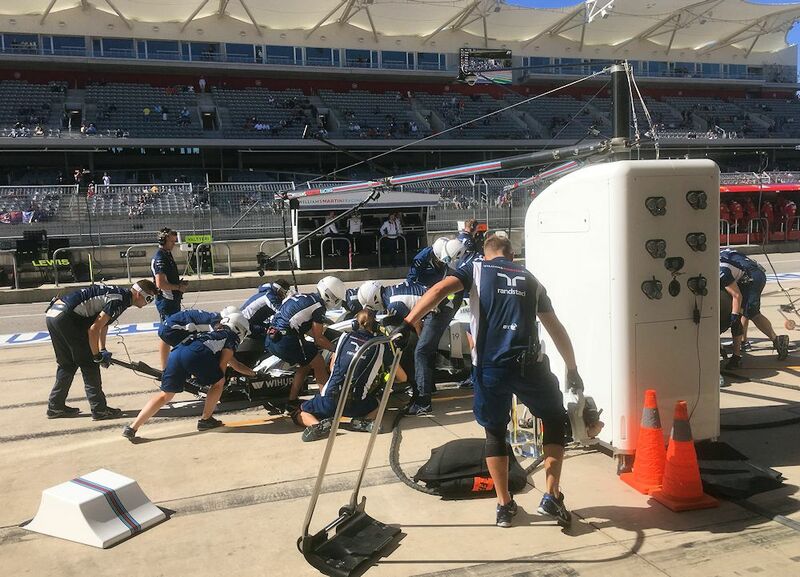 What an incredible time we had yesterday at COTA as guests of the Williams F1 team! 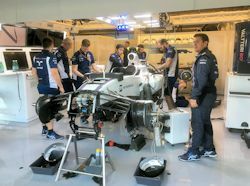 We spent the day in the Williams garage watching the team practicing and qualifying for the US Grand Prix. It is always fun to join the team for pit stop practice, which is traditionally followed by a fantastic 'full English' breakfast prepared by the team chef! 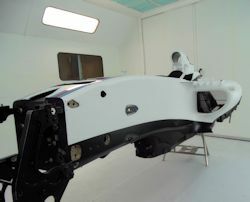 Huge thanks to James Boughton, Mark Pattinson and the entire Williams team for making it a truly special day for us. 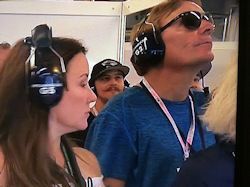 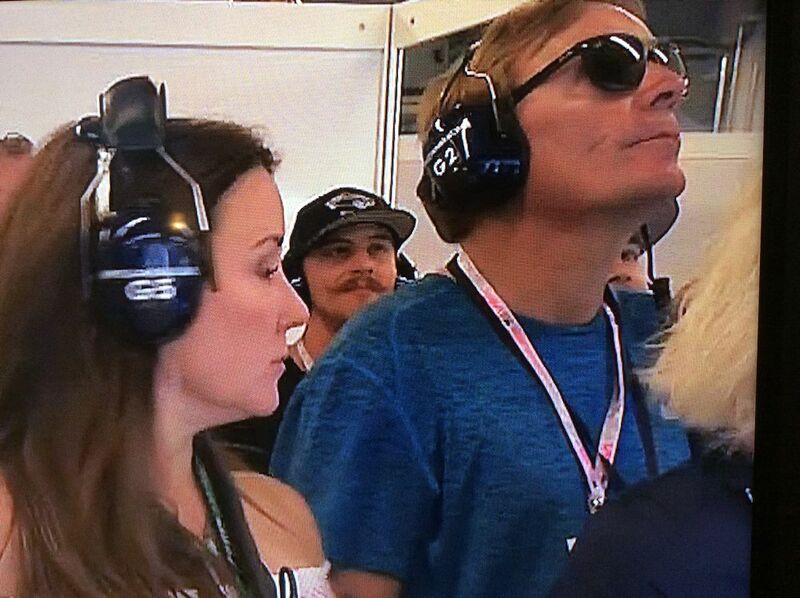 We even made a brief appearance on the world TV feed while standing next to far more interesting people in the Williams garage! 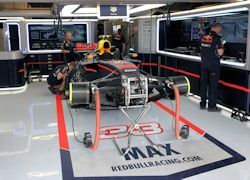 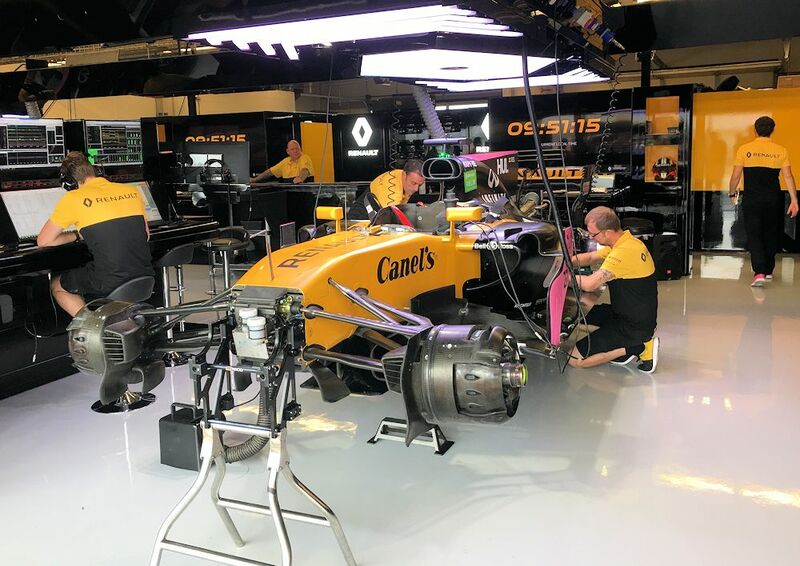 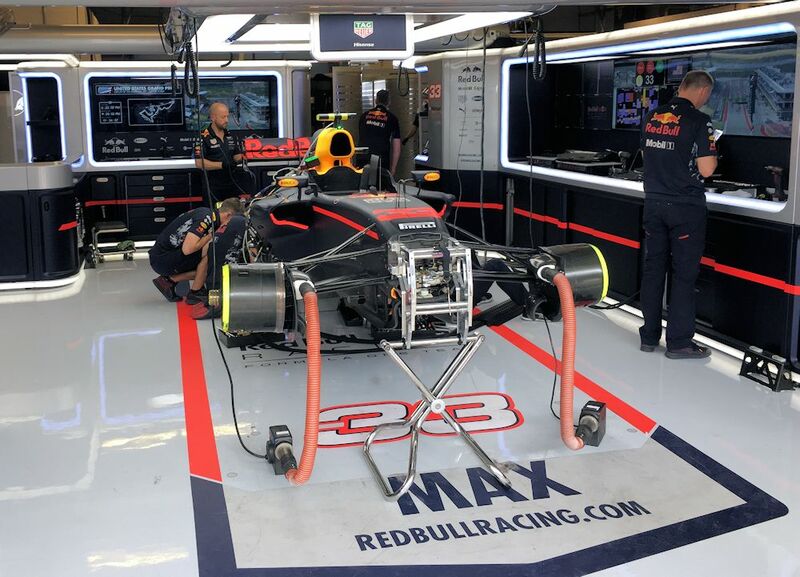 We were also privileged to be given tours of the Renault, Red Bull and Haas garages, so many thanks to those organizations for their time and generosity on what is obviously an extremely busy day for the teams. TV feed from the Williams garage - fame at last! 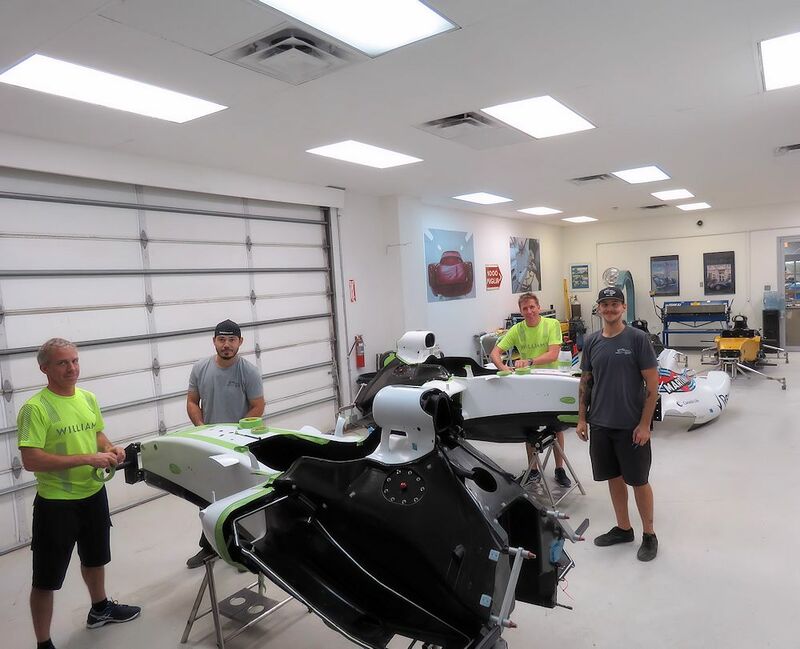 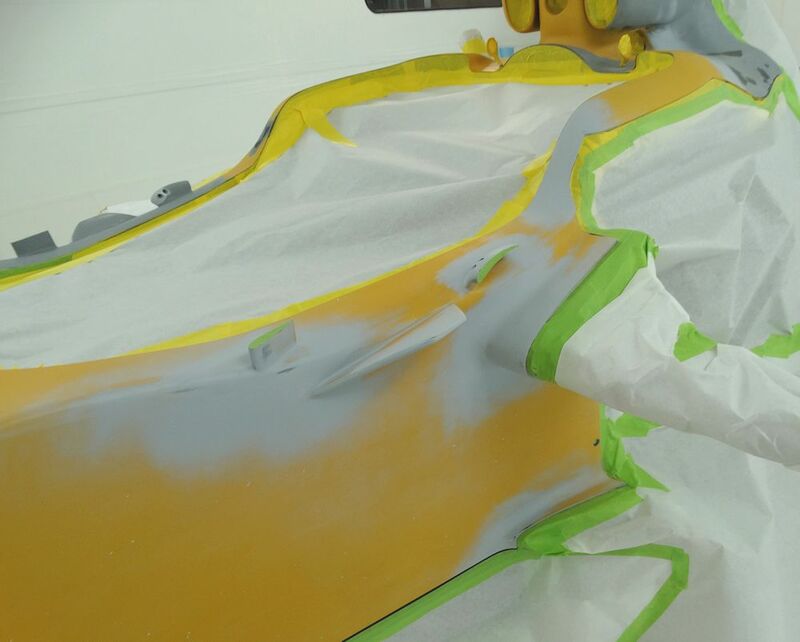 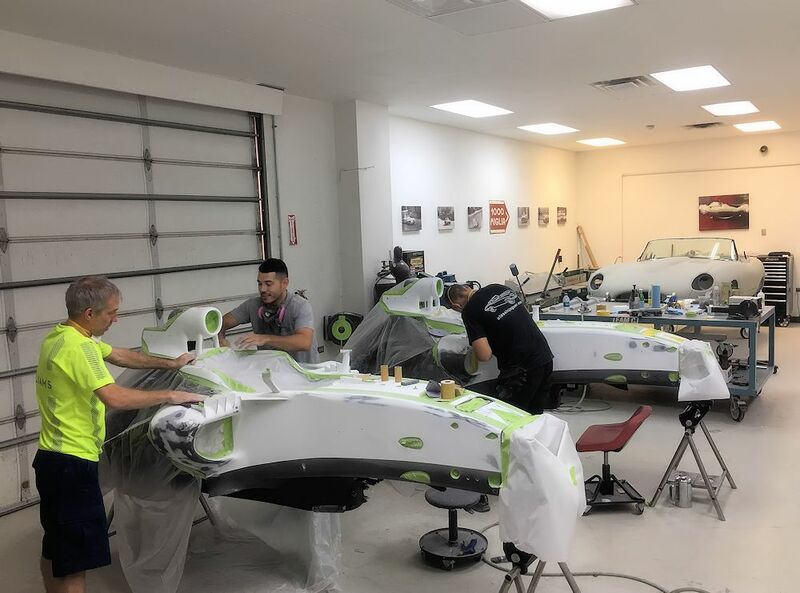 Great to see the cars we painted in action! 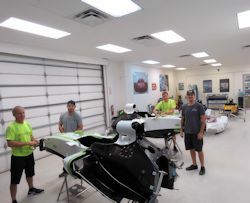 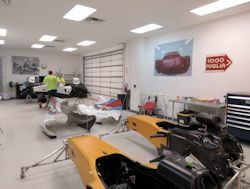 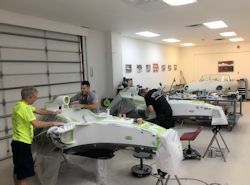 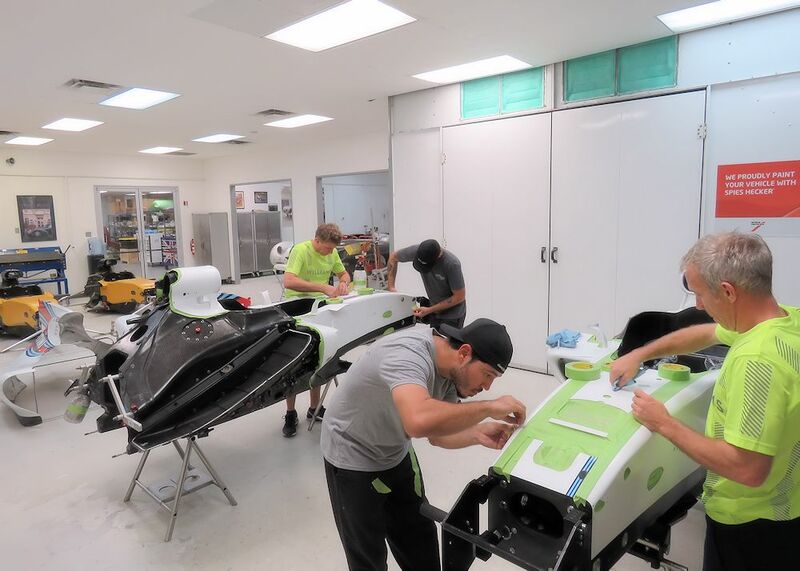 It is always an honor and privilege to be asked to help out the F1 teams in the week prior to the US Grand Prix. 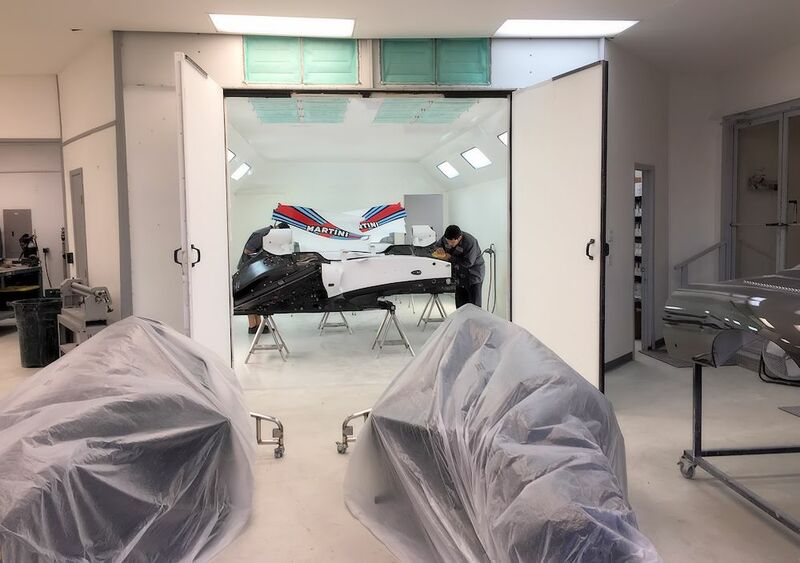 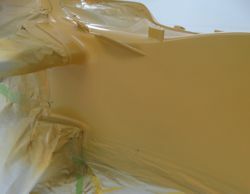 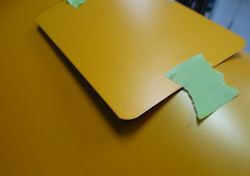 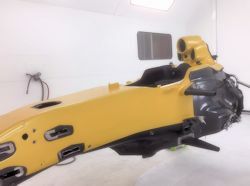 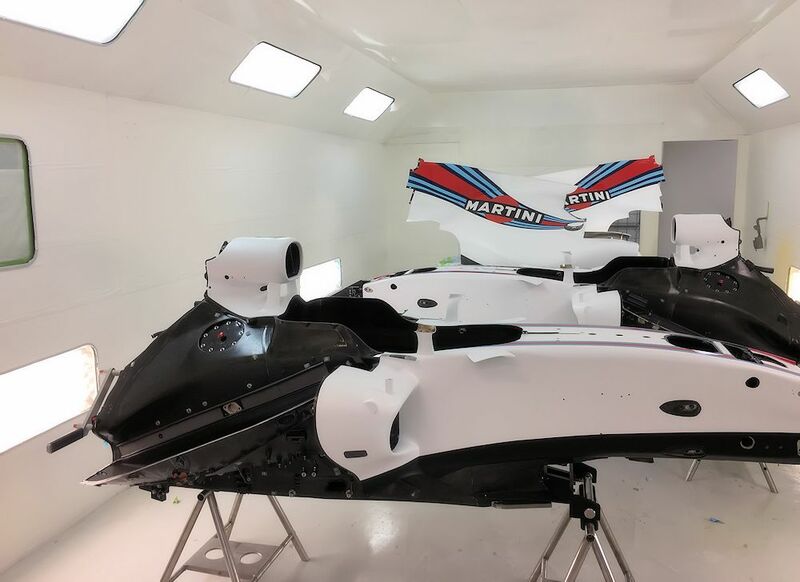 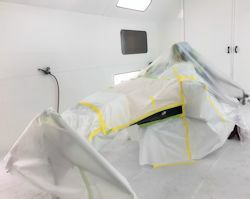 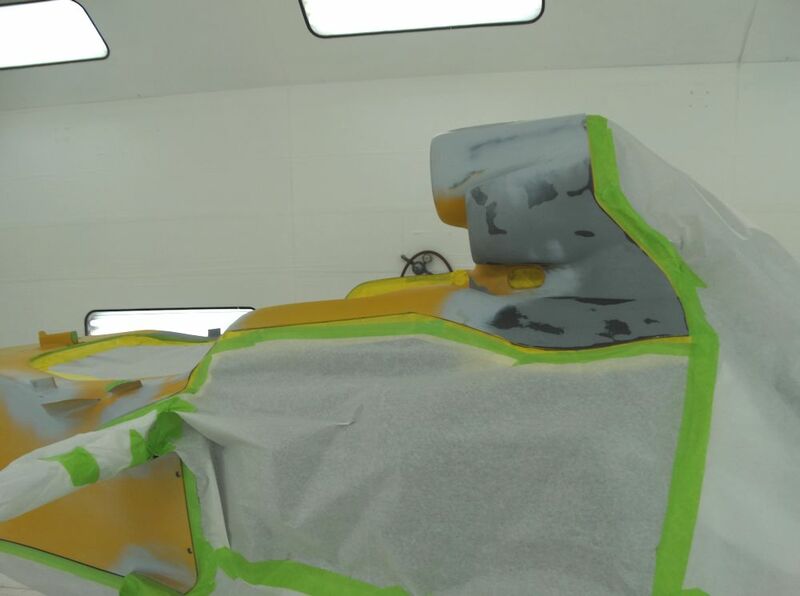 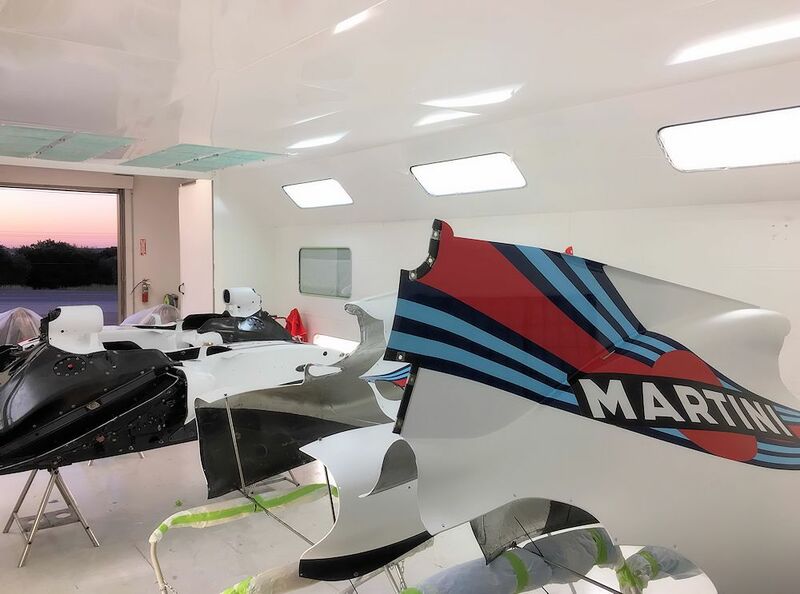 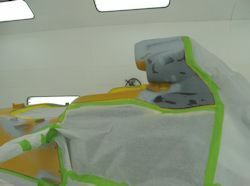 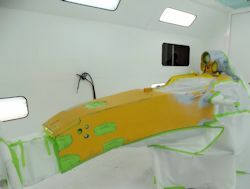 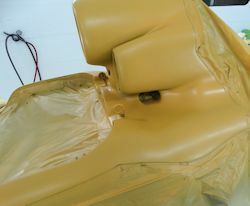 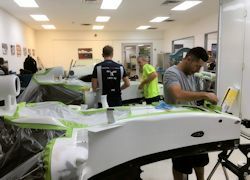 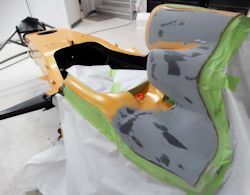 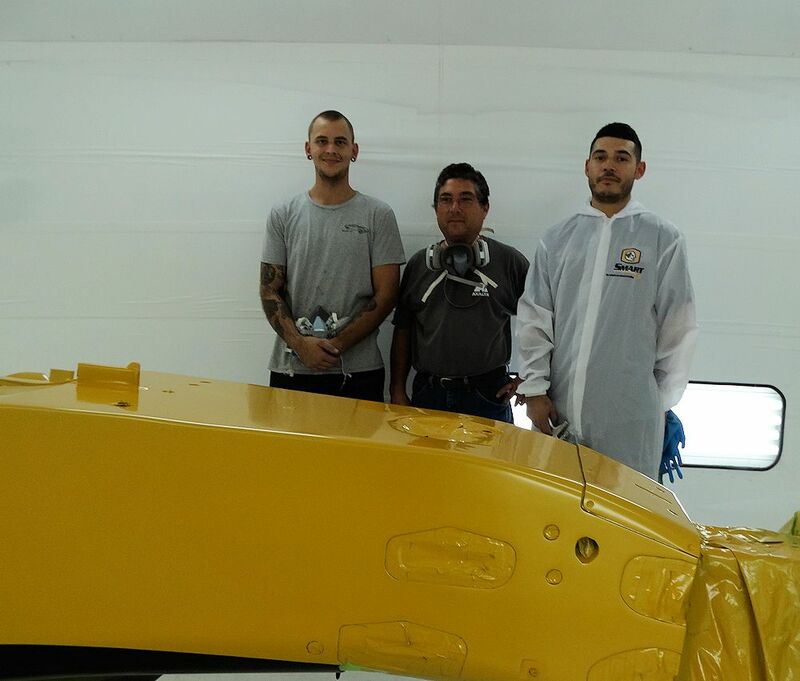 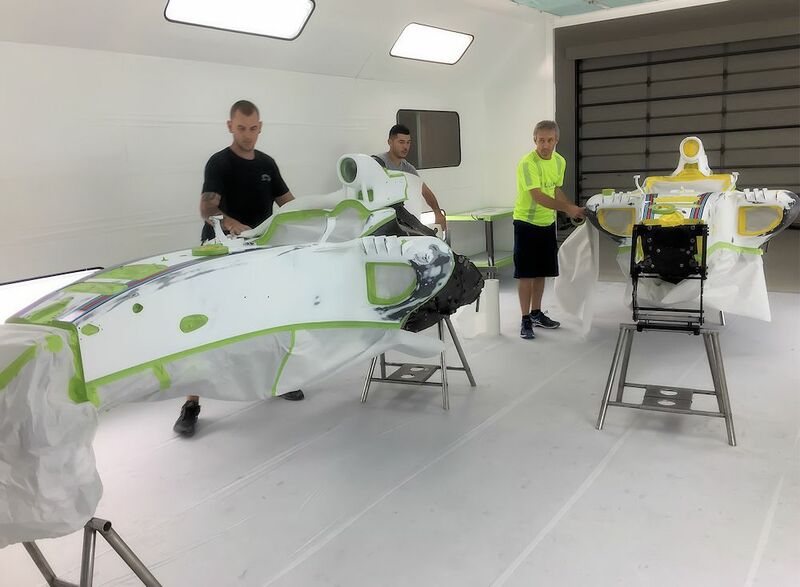 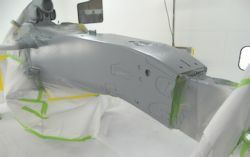 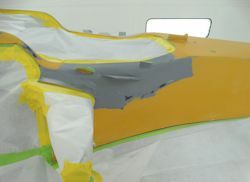 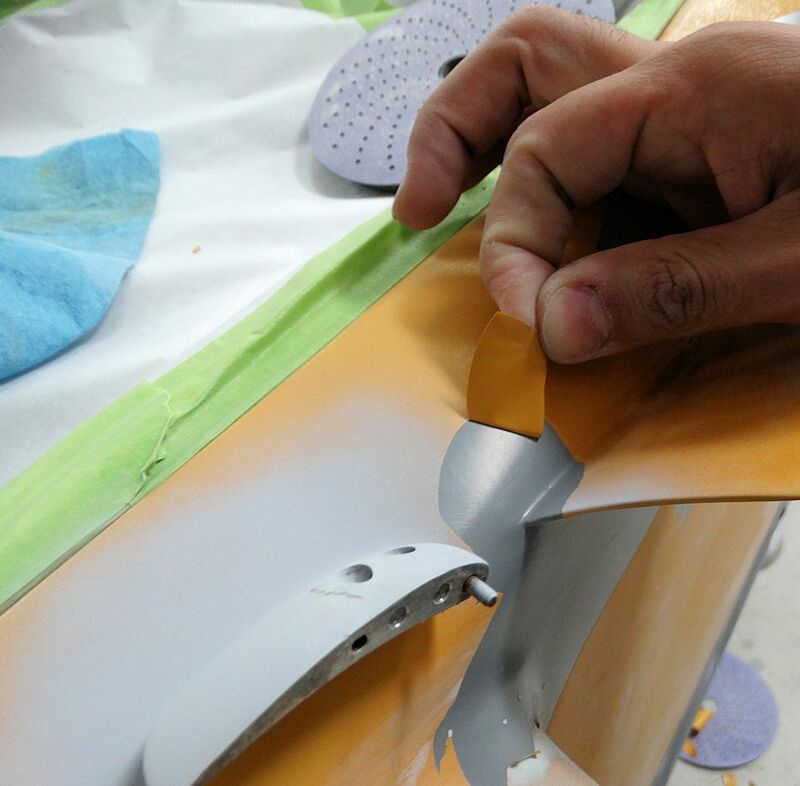 This year we are once again assisting the Renault and Williams teams with some minor body repairs and a fresh coat of paint. the result of their efforts! 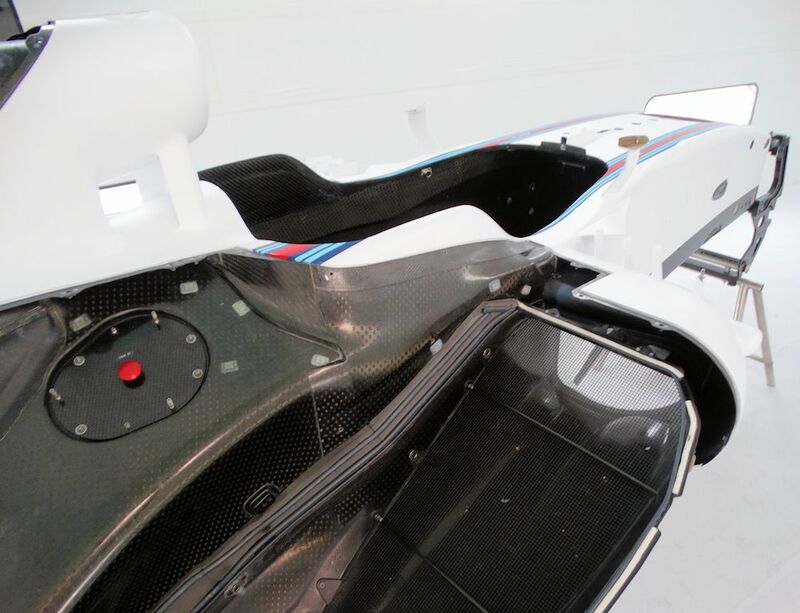 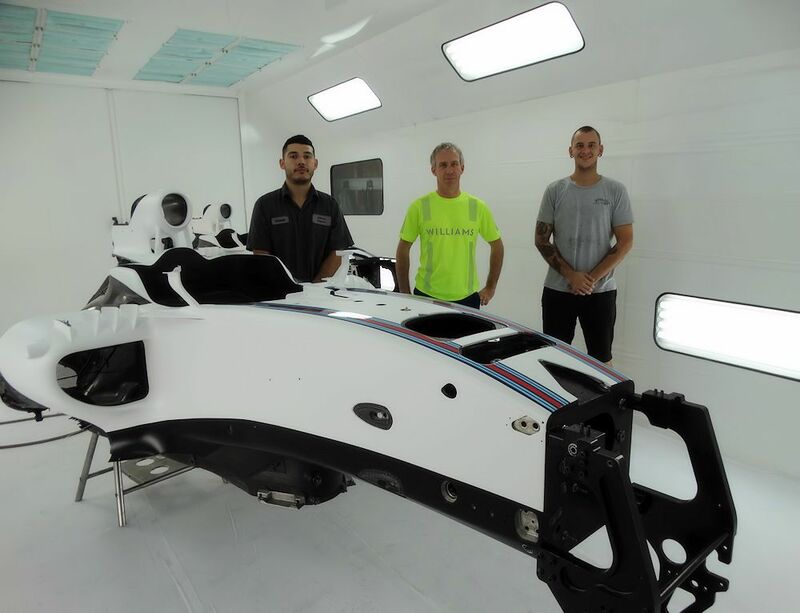 Both Williams cars now pristine and ready to race! 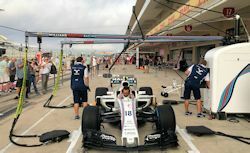 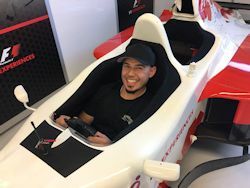 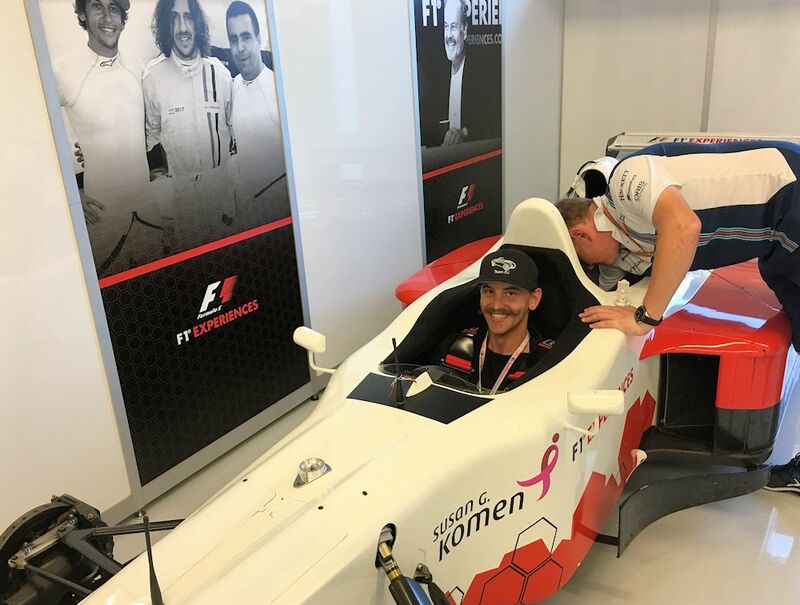 Huge thanks to James Boughton, Mark Pattinson and the entire Williams F1 team who treated myself and fellow Team CJ members Gerardo Lopez, Chris Scarborough and Andy McCreadie like royalty all day yesterday at the Circuit of the Americas. 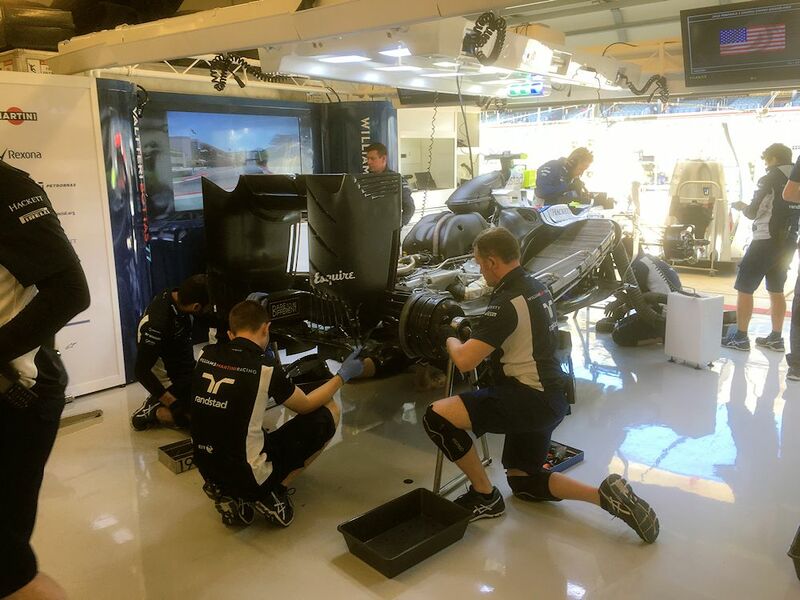 The entire Williams organization is total class from top to bottom. Good luck on Sunday, Felipe and Valtteri! 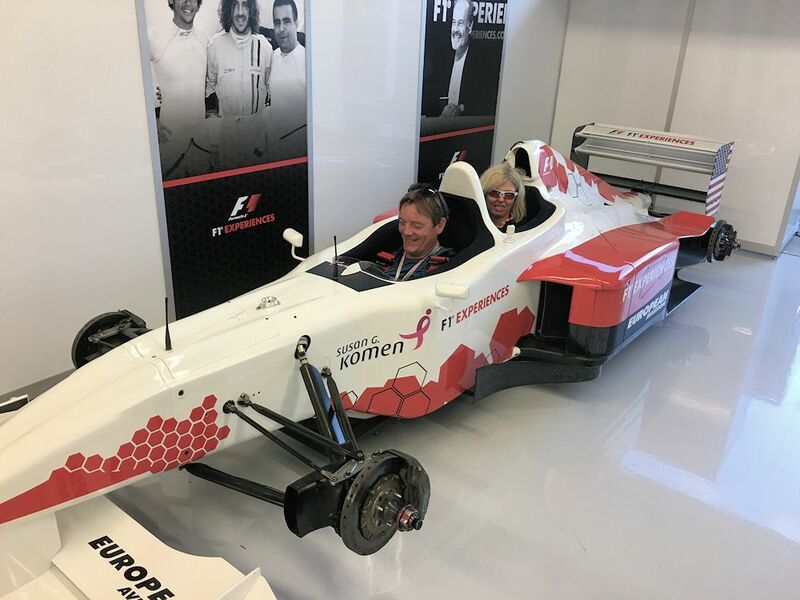 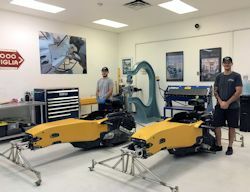 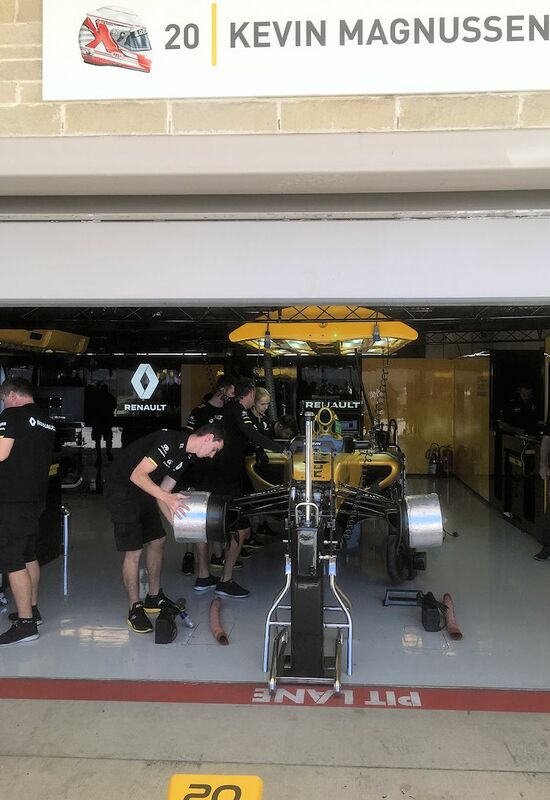 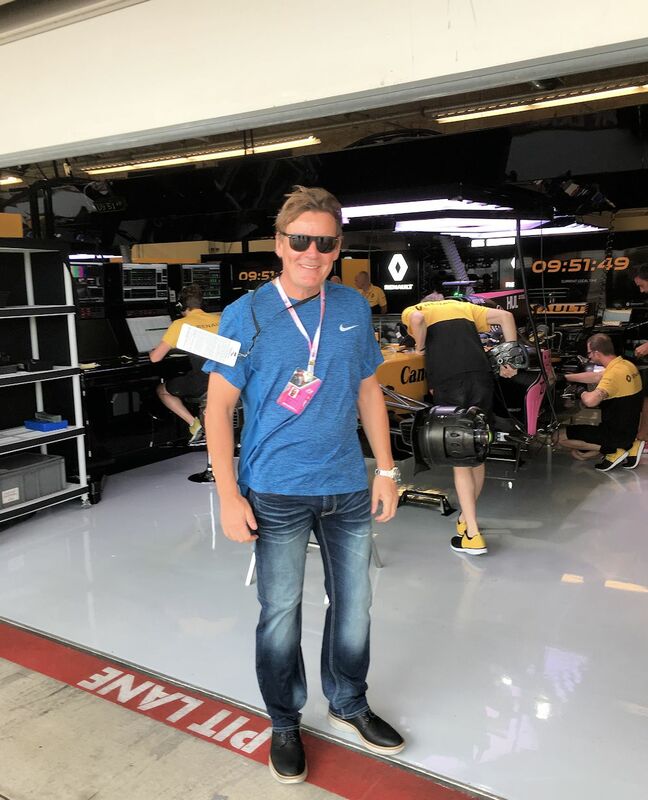 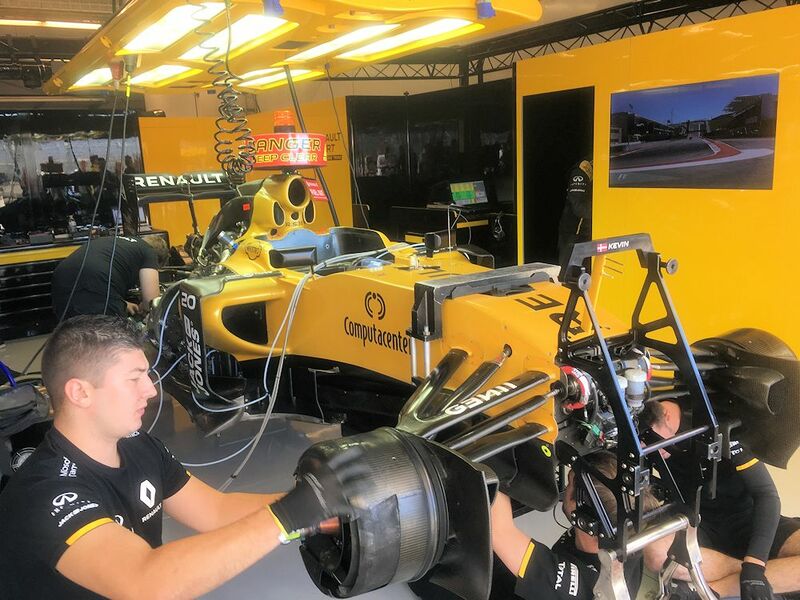 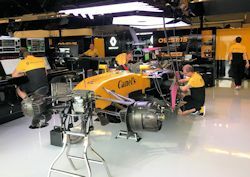 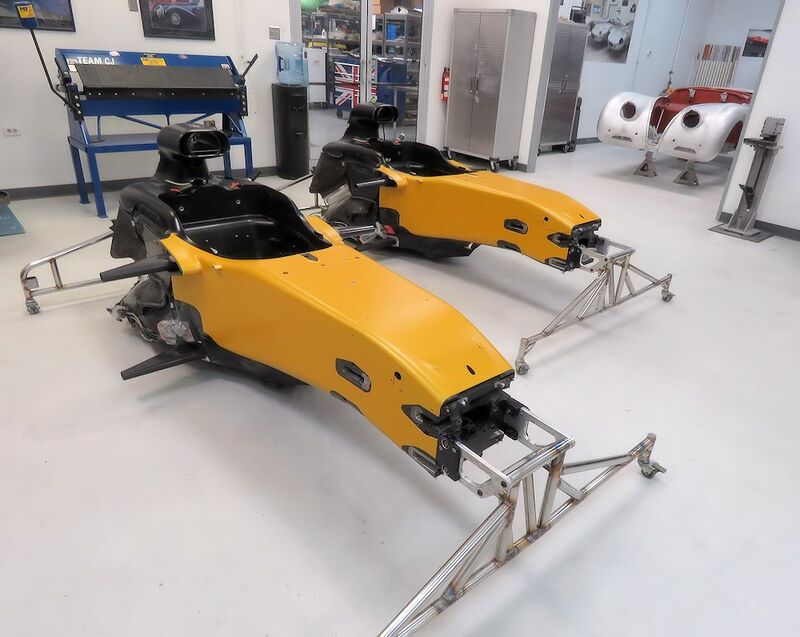 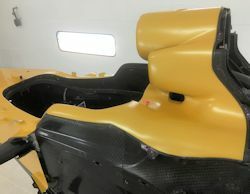 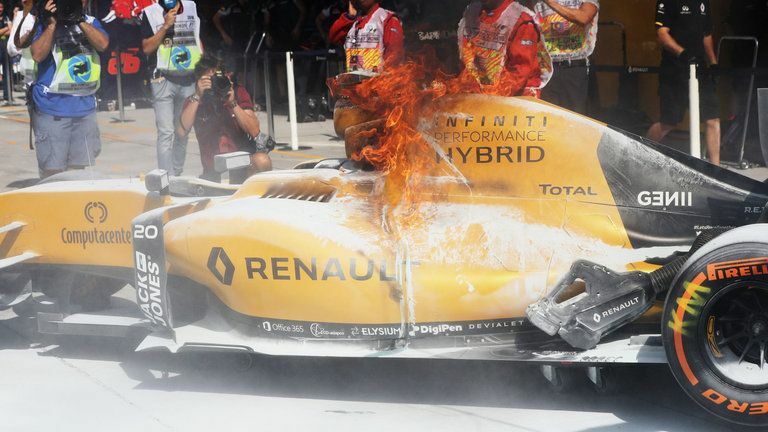 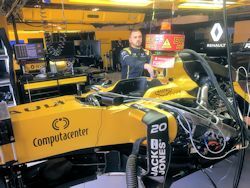 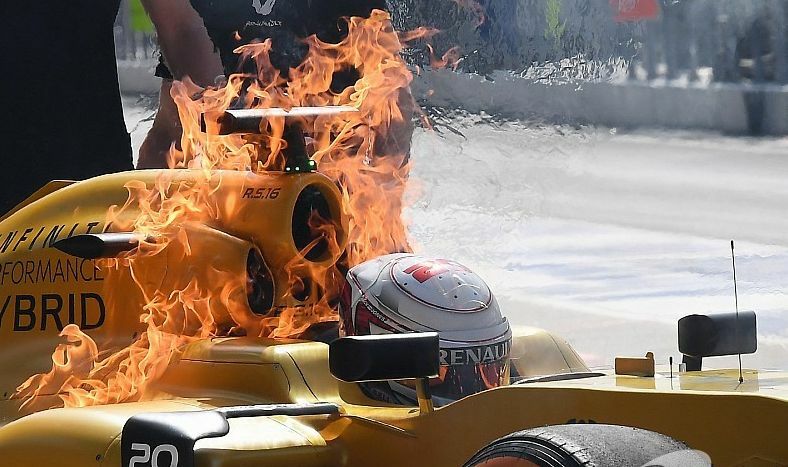 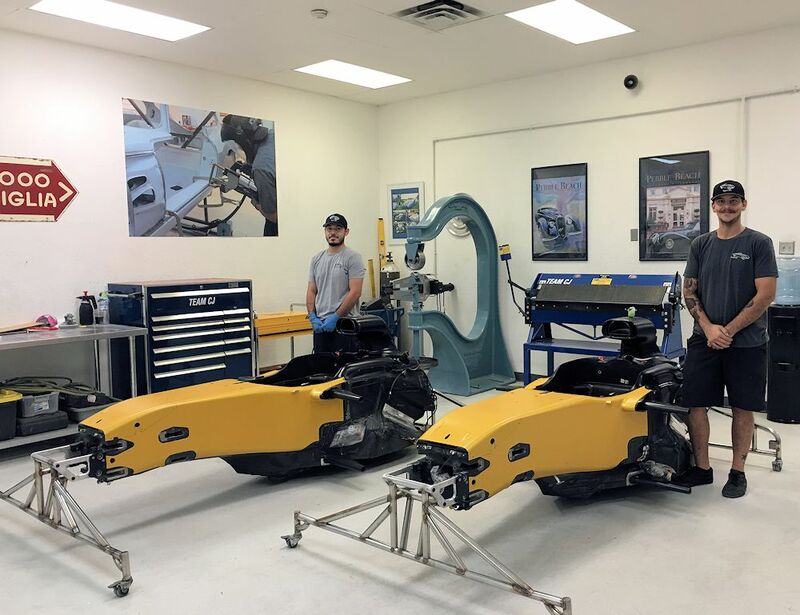 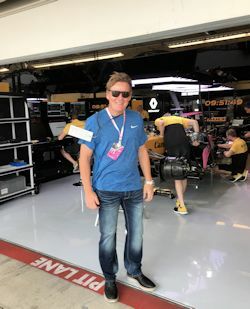 Thanks also to Geoff Simmonds of Renault Sport Racing for showing us around the Renault garage and introducing us to team driver Kevin Magnussen, whose fire damaged chassis we repaired just couple of days ago. 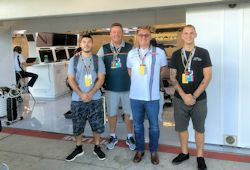 It was a real privilege for us to spend time with both these teams! 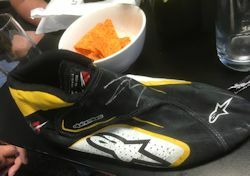 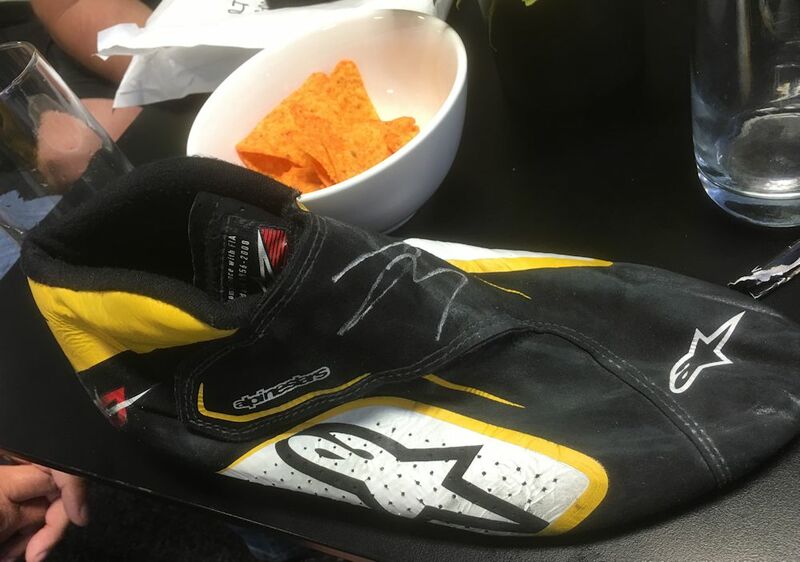 shoes as a 'thank you' for repairing his car! 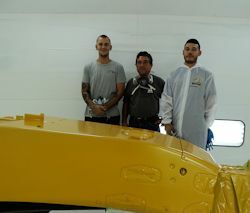 boys look justifiably proud of their work!